The Colorado sunset at Peaks Lounge at the Hyatt Regency in downtown Denver. Another birthday weekend has come and gone, and we did our best to put a dent in the Denver beer and spirit inventory. As I mentioned in my previous post, “A Colorado birthday weekend,” Ryan and I like to do it up for each other when it comes to birthday time, and our birthdays are just a month apart. Ryan always does an amazing job at putting together something grand for me on my birthday, and this puts me on the hook to do something just as good for him. We got there when they opened and had the place to ourselves until about noon. This place is a combo restaurant/bar/gaming establishment. They have bowling, arcade games, ping pong, shuffle board, pinball, air hockey, billiards, darts, foosball and even marbles. Pinball at Punch Bowl Social in Denver, Colorado. 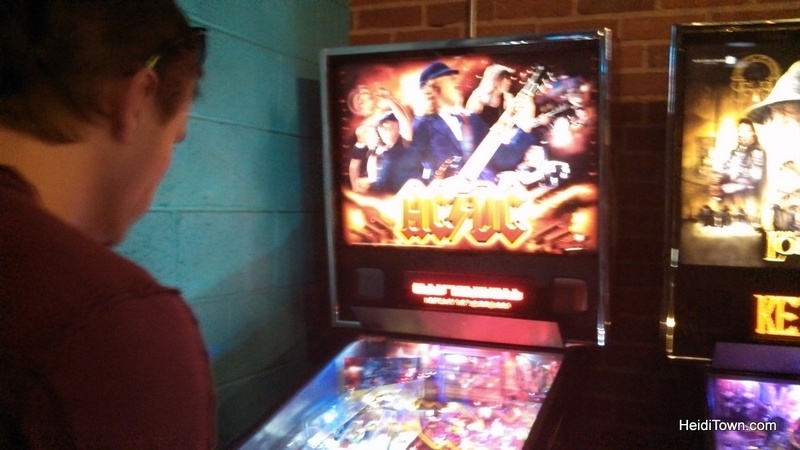 Two of my husband’s favorite pinball machines are upstairs at Punch Bowl Social – ACDC and Lord of the Rings. Upstairs wasn’t exactly open while we were there, but we snuck in a couple games until some kid turned us in (I think he wanted to play up there, and his parent’s ratted us out). Punch Bowl Social has great bartenders, fun staff and surprisingly delicious food and my only complaint was that by 12:30 p.m. on a Saturday it was overrun with kids. They took over everything – every bowling lane, every video game – and for us, the magic was gone. After 10 p.m. the place is 21 and older only, but it would be nice if it was an adults-only bar all the time, or at least for more hours, because honestly, it’s hard to find a place like this that isn’t swarming with kids these days. I’d reserved a room at the Hyatt Regency Denver at Colorado Convention Center. In an excellent location, you can walk just about anywhere in downtown Denver from this hotel. Our 22nd floor room looked north, but we could still see a bit of the mountains and a lot of the city. I liked the modern feel of the room and the black and white art work. The view from our room on the 22nd floor at the Hyatt Regency in downtown Denver. 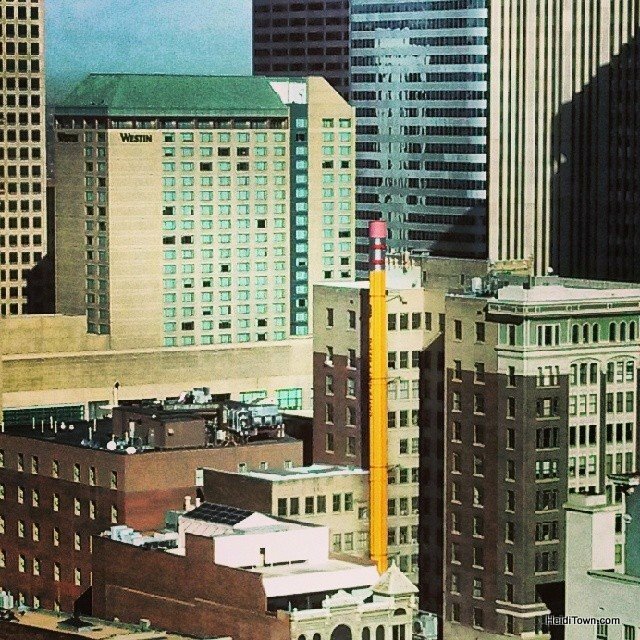 I am pretty sure that’s the world’s largest pencil. We hit the Hyatt’s Peaks Lounge, a recommendation from a HeidiTown follower on twitter (@modchen). 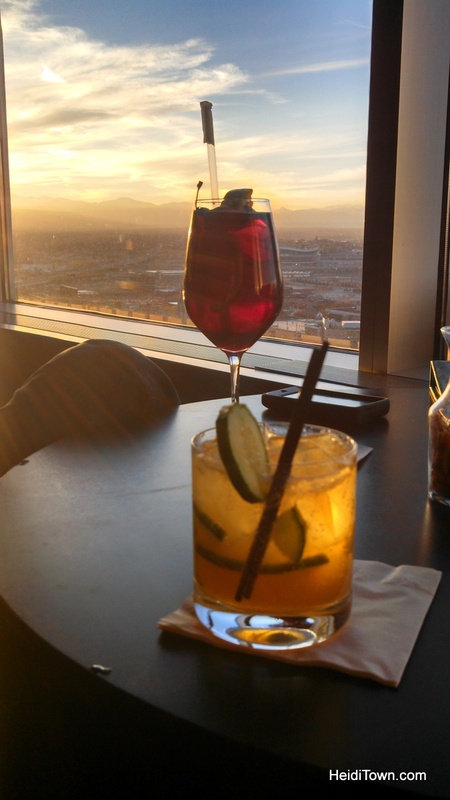 On the 27th floor, with windows overlooking the Rocky Mountains and the city, Peaks Lounge is the place to watch a Colorado sunset. We sipped our drinks slowly and watched the sky turn pink and then slowly melt to black. We decided to do a little bar hopping before our dinner reservation. Our goal was to hit up some spots we’d never been before, but we’d forgotten that bar hopping in the city is a rather expensive proposition. Our first couple drinks were $10 each (or more), but then we stumbled into Maloney’s Tavern where it was still happy hour (happy hour on Saturday? Yay!). 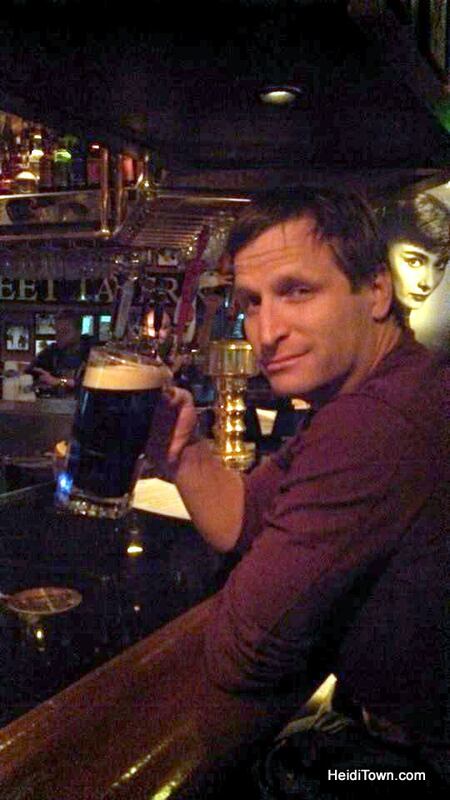 We each got a drink – one was a 32 ounce Guinness – happy birthday Ryan – for under $10. We felt like we were committing a crime. Audrey Hepburn looks over Ryan’s shoulder as he drinks a huge Guinness at Maloney’s in downtown Denver. Dinner at Freshcraft lives up to the current hype. The fried cheese ball appetizer alone is worth a trip to Denver. Some of the beers are a bit pricey. Ryan had a Flemish sour that was more expensive than his entire dinner, so if you don’t feel like splurging, you might verify the price before ordering a specialty beer. The wait staff here know the menu really well, so be sure to utilize their expertise. 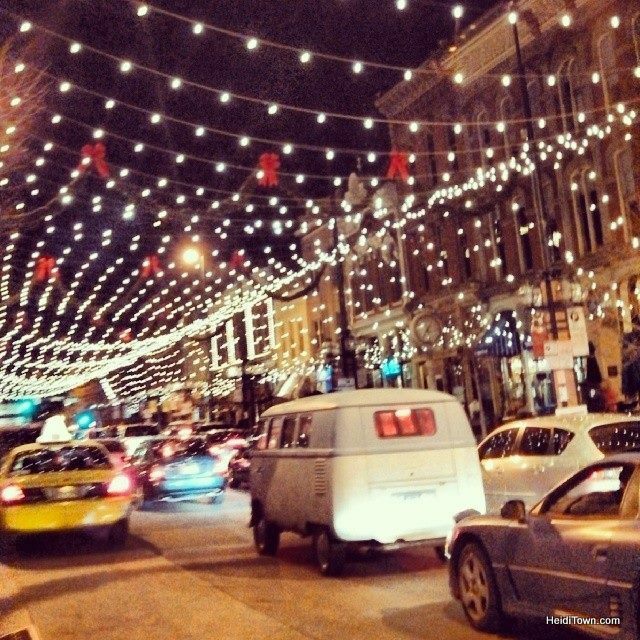 Larimer Street, perhaps the prettiest street during the holidays in Denver, Colorado. 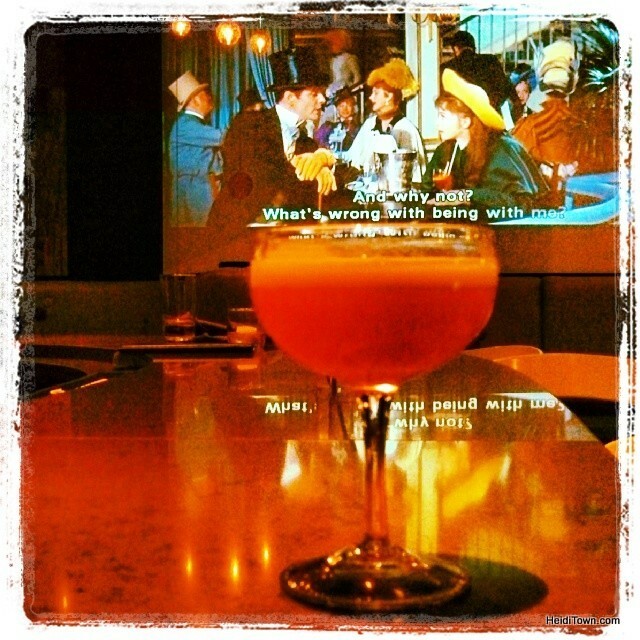 We thoroughly enjoyed a nightcap at Crave Dessert Bar and Lounge, our new favorite bar in Denver. Not only are the bartenders highly entertaining (I have pictures), their drinks are top-notch. I indulged in a fancy pink gin drink and Ryan had an Irish coffee. This place is across from the Denver Performing Arts Center where we go to see/hear the Colorado Symphony every month, so we will definitely be back to sample their desserts. My delicious pink gin drink at CRAVE dessert bar & lounge in downtown Denver, Colorado. The next morning we enjoyed breakfast at the Hyatt’s restaurant, Altitude (it came with my package deal). The buffet put a big smile on Ryan’s face and my breakfast burrito was the best I’ve had in quite a while. 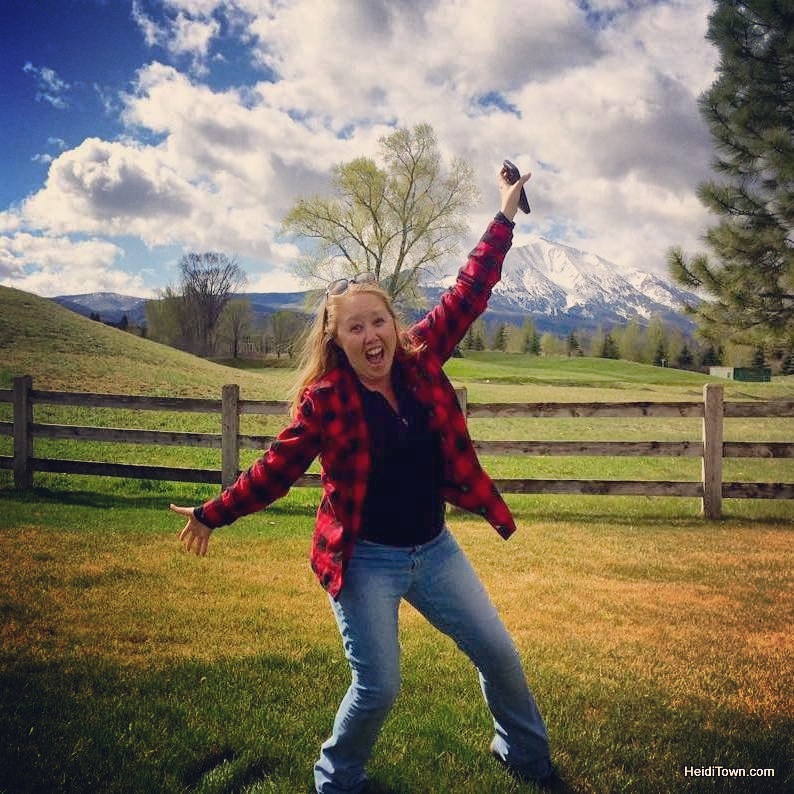 Then we were off to the Rocky Mountain Con, an adventure I’ve previously blogged about here. I’ve done downtown Denver a number of times and I still highly recommend this city as a weekend outing for any celebration. Also, the staff at this Hyatt Regency are outstanding. I was super impressed. Disclosure: I received no compensation for any of this trip, and all opinions are my own.